Super convenient to have especially when you want to travel to places like Busan. Chose the flexible pass one so make sure if you choose the same that you plan your days well. Made the mistake of planning to leave Seoul after the pass expired and had to pay a lot on the spot. 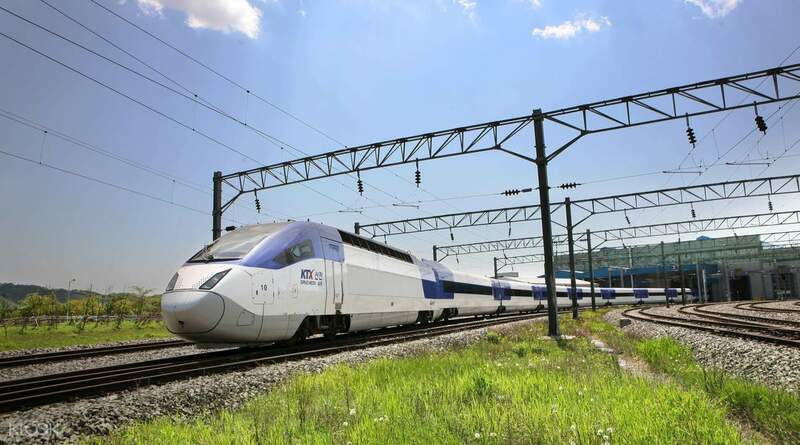 For your choice of 3 and 5 consecutive days or any 2 or 4 flexible days within a 10 day period, access almost all the trains operated South Korea's leading railway provider, KORAIL. Simply redeem your voucher at any metro stations in South Korea and be prepared to travel to over 600 stations that spread across 80 routes, making this arguably the best way to travel around South Korea. 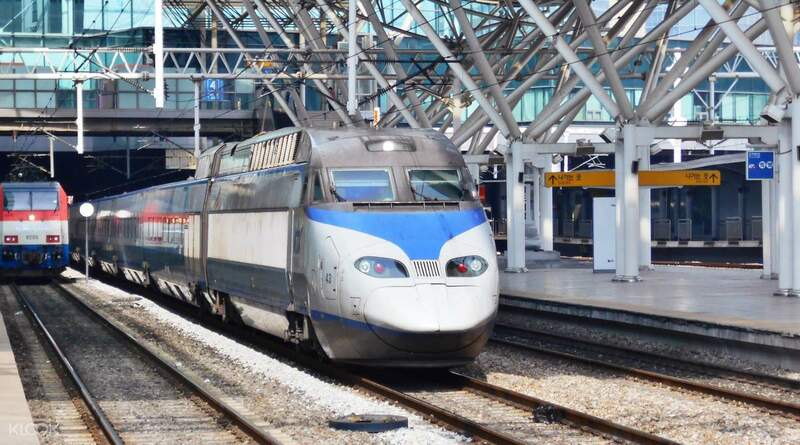 Take the KTX and travel from Seoul to Busan in as little as 2 and a half hours! Available and discounted for tourists only, the Korea Rail Pass (KR PASS) is your best option when it comes to economical travel throughout South Korea with ease. Price is much lower than buy through KORAIL website. Can reserve seat at KORAIL website. Enter the KORAIL pass no., then remember to fix your date of travel before you make seat reservation, otherwise error notification will pop up when you click seat reservation. Price is much lower than buy through KORAIL website. Can reserve seat at KORAIL website. Enter the KORAIL pass no., then remember to fix your date of travel before you make seat reservation, otherwise error notification will pop up when you click seat reservation. The KTX is so fast and convenient. We booked the train online beforehand on the website after receiving the voucher so as to ensure the seats. However, on the return day, we missed the booked train, the staff are helpful and help us to book the very next train. Love it! The KTX is so fast and convenient. We booked the train online beforehand on the website after receiving the voucher so as to ensure the seats. However, on the return day, we missed the booked train, the staff are helpful and help us to book the very next train. Love it! After receive the confirmation with Korea Rail Pass from Klook, just use the voucher number enter and reserve the seat online. Taking the KTX and tourist train is more worth for the pass. Bad things issue only can reserve 2 seats per day after 2 seats we need walk in counter train station to redeem only free seating train. After receive the confirmation with Korea Rail Pass from Klook, just use the voucher number enter and reserve the seat online. Taking the KTX and tourist train is more worth for the pass. Bad things issue only can reserve 2 seats per day after 2 seats we need walk in counter train station to redeem only free seating train. Highly recommended if travelling to Korea. The train is efficient and enjoyable. Redemption is easy. No hassle. Very convenient. Thanks to "klook". Easy to use. reservation is done online. Ticketing printed at home. No need to go to ticketing office. Once purchased from here, can make reservation for KTX seat tickets online one month ahead through the KTX website and print it out. You are then set for your trip. Best for travelling outside Seoul. Easy and fast. Luggage compartment is located far from the seats and are limited. Check the boarding gate at the station and hop onto the train. Seats are all allocated so there's no need to go through any check or scanning of physical tickets. Fully recommended and thanks once again to "klook". Highly recommended if travelling to Korea. The train is efficient and enjoyable. Redemption is easy. No hassle. Very convenient. Thanks to "klook". Easy to use. reservation is done online. Ticketing printed at home. No need to go to ticketing office. Once purchased from here, can make reservation for KTX seat tickets online one month ahead through the KTX website and print it out. You are then set for your trip. Best for travelling outside Seoul. Easy and fast. Luggage compartment is located far from the seats and are limited. Check the boarding gate at the station and hop onto the train. Seats are all allocated so there's no need to go through any check or scanning of physical tickets. Fully recommended and thanks once again to "klook". Me with my two friends managed to book a Flexible 2 Days Korail Passes on Klook. It took less than three days until the confirmation process is finished and we get the voucher of KR Pass. We planned to assign the passes for two different days trips to Busan and Gapyeong. By accessing the Korail Pass website (entering your voucher number for sign in) you can choose the two days of your trips and you can still changed it as long as you haven't assign the seat yet. Assigning seat also easy but you can't choose it freely by what number car or the seat itself since it's automatically assigned by the system. As long as your group is in one booking voucher, no need to worry, you'll be always seat in the same car, eventough different row or column. At one time we already assigned time and seat to get home from Gapyeong to Seoul by online, but in the actual day we could get home earlier than the reservation, so we just walk to the Korail information desk and requested to move forward our board time. To be noted, if you changed the time on the same day, there's no guarantee that there's still regular seat left, there's an area for standing with hand grip and 3-3 facing seats in between car. So you should get it as fast as you can. If it's not a peak hour, no need to worry, you'll eventually get to seat since there will always be seated passenger that get off in the station before your station. Me with my two friends managed to book a Flexible 2 Days Korail Passes on Klook. It took less than three days until the confirmation process is finished and we get the voucher of KR Pass. We planned to assign the passes for two different days trips to Busan and Gapyeong. By accessing the Korail Pass website (entering your voucher number for sign in) you can choose the two days of your trips and you can still changed it as long as you haven't assign the seat yet. Assigning seat also easy but you can't choose it freely by what number car or the seat itself since it's automatically assigned by the system. As long as your group is in one booking voucher, no need to worry, you'll be always seat in the same car, eventough different row or column. At one time we already assigned time and seat to get home from Gapyeong to Seoul by online, but in the actual day we could get home earlier than the reservation, so we just walk to the Korail information desk and requested to move forward our board time. To be noted, if you changed the time on the same day, there's no guarantee that there's still regular seat left, there's an area for standing with hand grip and 3-3 facing seats in between car. So you should get it as fast as you can. If it's not a peak hour, no need to worry, you'll eventually get to seat since there will always be seated passenger that get off in the station before your station. Our first time trying a KR Pass. Flexible for 2 days within 10 days travel time. Make sure to print voucher and claim in Seoul Station in tickets area. claiming is easy and they put you together if you are travelling together. Seats are great, there's USB ports too. KTX ride is really smooth. Going back is awesome too. Thanks Klook! Best purchase to go to Busan or other parts of korea! Our first time trying a KR Pass. Flexible for 2 days within 10 days travel time. Make sure to print voucher and claim in Seoul Station in tickets area. claiming is easy and they put you together if you are travelling together. Seats are great, there's USB ports too. KTX ride is really smooth. Going back is awesome too. Thanks Klook! Best purchase to go to Busan or other parts of korea! This is the 2nd time we booked KTX tickets via Klook and it was super easy. KTX claiming was hassle free. Trip to Busan and back si comfortable and lets you seat together when travelling in group. Make sure to print the voucher. Seoul and Busan stations are amazing. Thanks Klook! Great job as always! This is the 2nd time we booked KTX tickets via Klook and it was super easy. KTX claiming was hassle free. Trip to Busan and back si comfortable and lets you seat together when travelling in group. Make sure to print the voucher. Seoul and Busan stations are amazing. Thanks Klook! Great job as always! It's really convenience when we have e-voucher of the KR PASS from Klook. Just plan our trip, reserve a seat from the Korail website, get on the train and start to travel. This is so value for us. It's really convenience when we have e-voucher of the KR PASS from Klook. Just plan our trip, reserve a seat from the Korail website, get on the train and start to travel. This is so value for us.